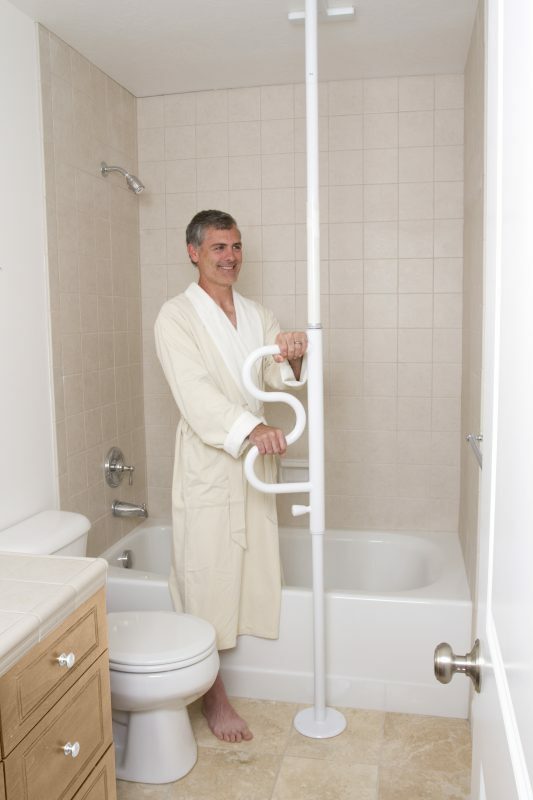 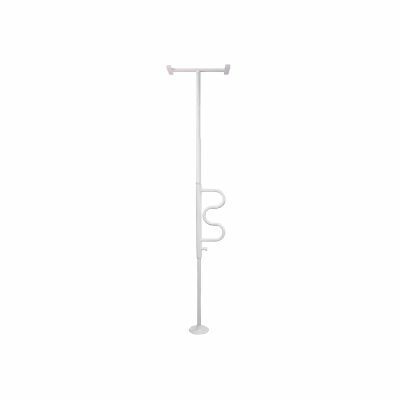 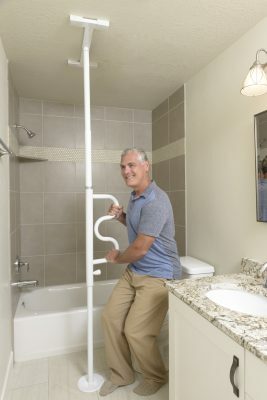 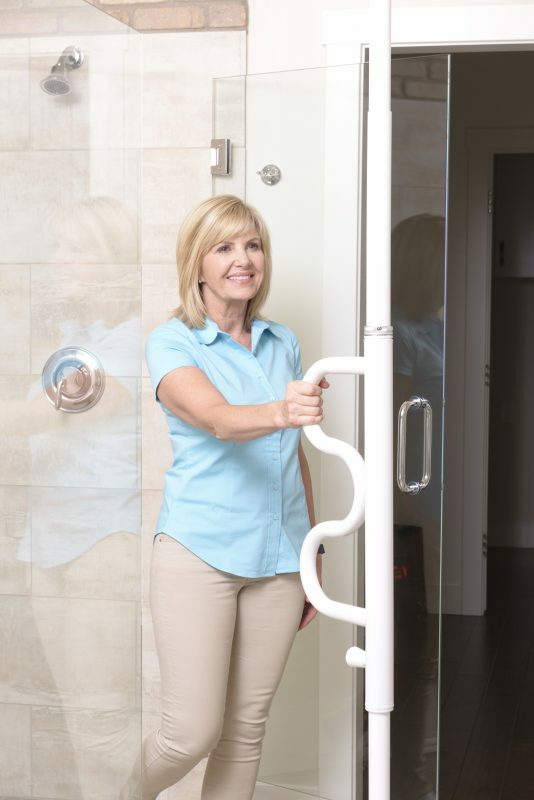 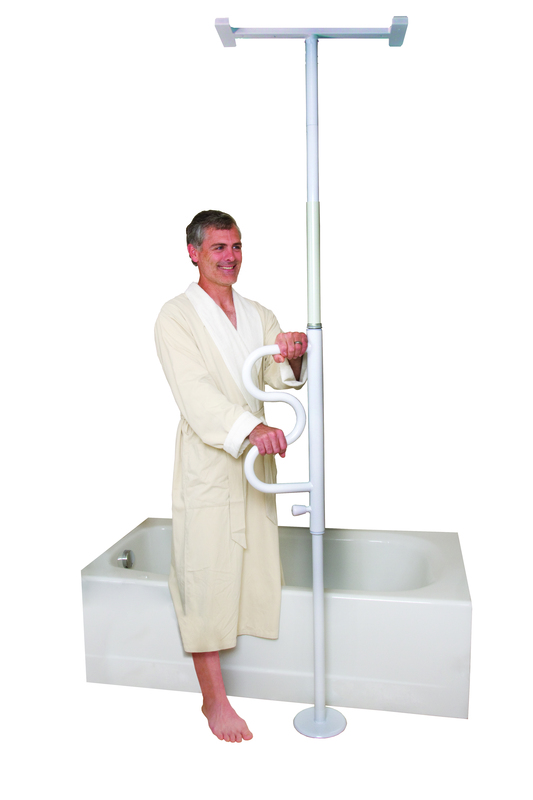 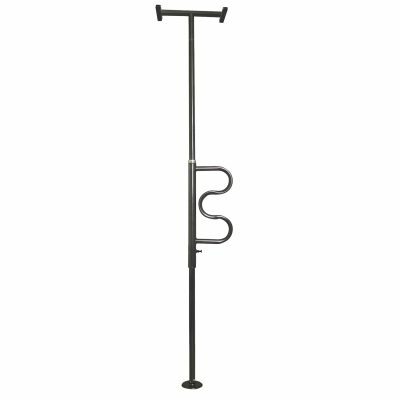 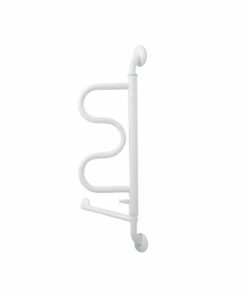 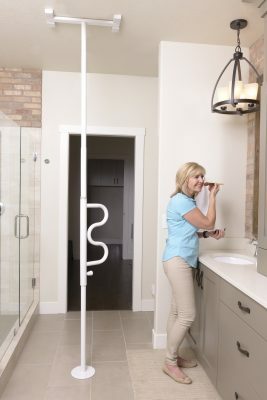 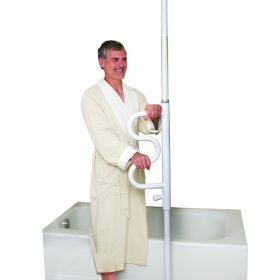 The Security Pole & Curve Grab Bar makes it easy to stand from a couch, bed, or toilet. 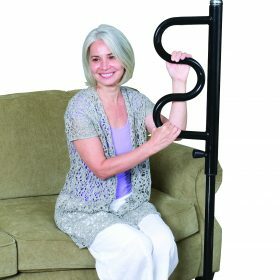 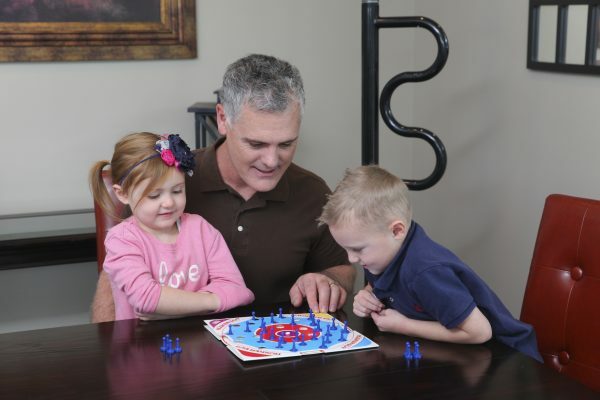 It is tension mounted so it can be placed anywhere in the home – no screws or bolts required. 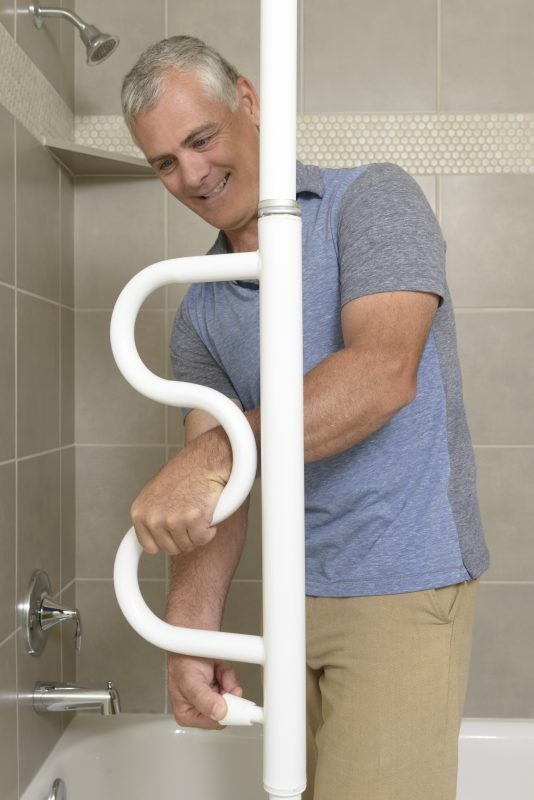 The Curve Grab Bar has 4-Handgrips that make it easy to climb to a standing position – and because the grab bar rotates 360 degrees – you can move the grab bar out of the way when not in use. 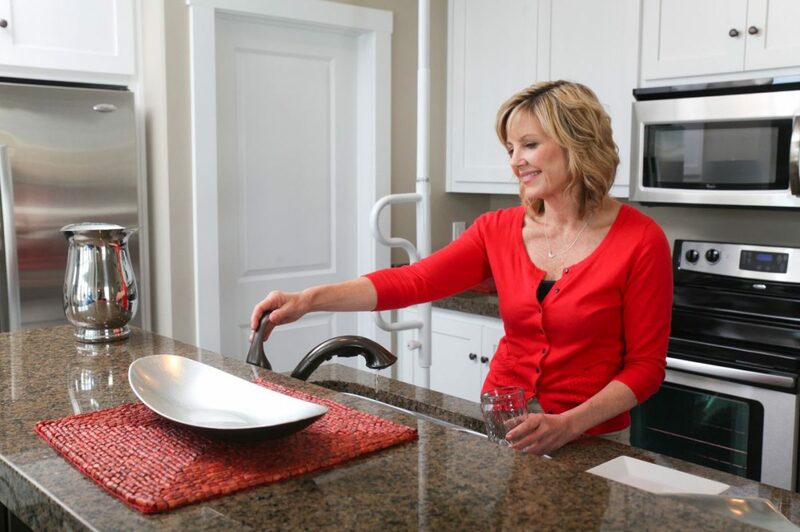 And like all our products, it blends in with your home to offer extra support without intruding on the comforting feeling of your home. Materials: Rust resistant zinc plated steel wit hdurable powder coat finish. 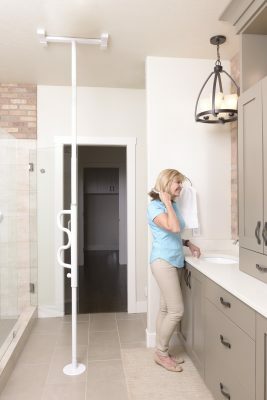 Fits Ceiling Heights: Range of 7′-10′ ft. 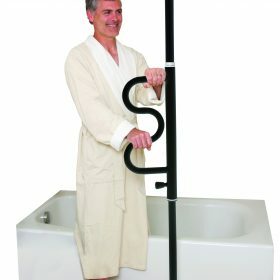 Weight of Product: 20 lbs. 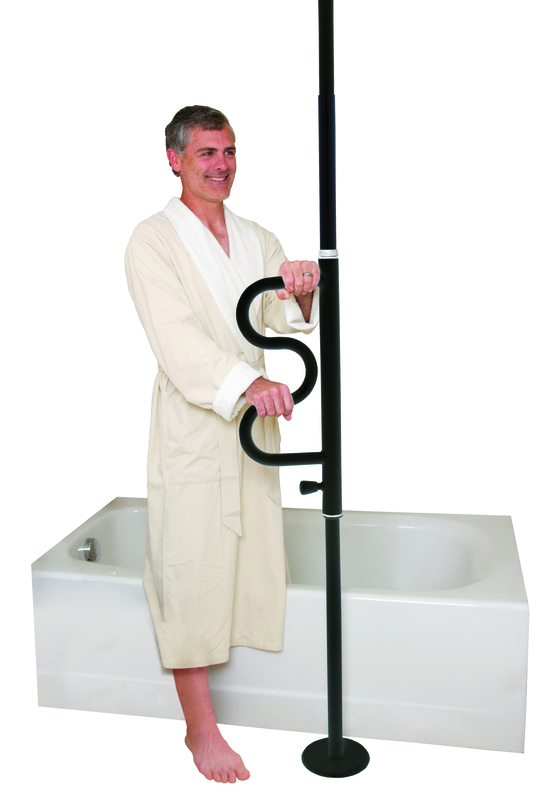 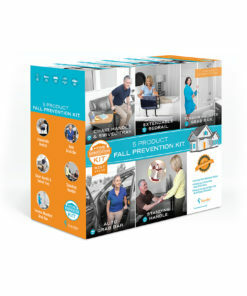 Package Dimensions: 54.00″ L x 12.50″ W x 3.25″ H; 22 lbs. 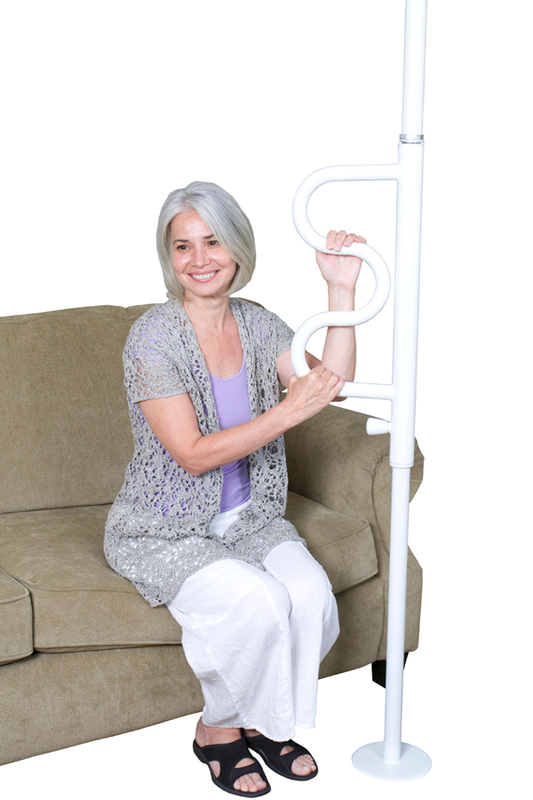 Case of 2 Dimensions: 54.00″ L x 12.50″ W x 6.5″ H; 45 lbs. 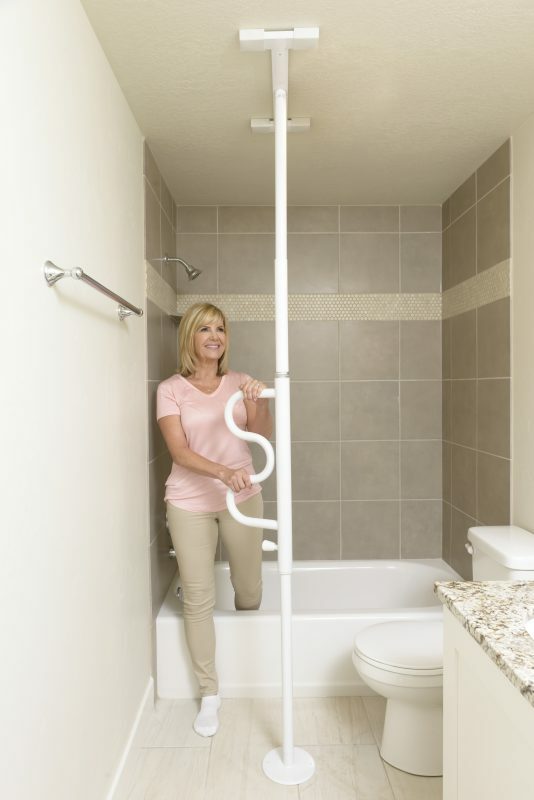 Two Products in One: Floor to ceiling pole with pivoting curve grab bar that locks in place every 45 degrees. 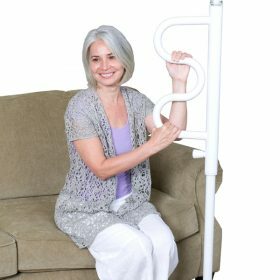 Adjustable: Fits ceiling heights 7′-10′ ft.
Portable: Main pole easily separates into two 53″ pieces making it easy to transport. 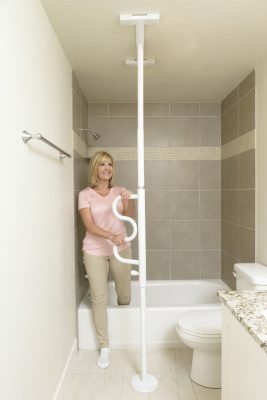 Adaptable:No need for wall mounts; can be installed in virtually any area of a room exactly where it is needed.